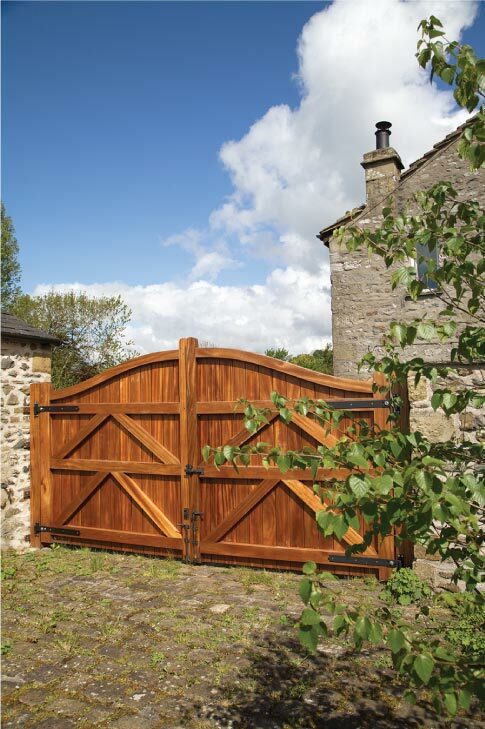 Made to measure timber gates in hardwood or softwood provide a dramatic and attractive wooden option for any opening. 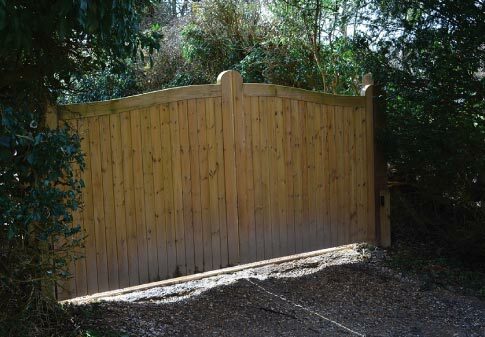 Whether it’s a five bar entrance gate to your driveway or field, a fully boarded gate for maximum privacy, or a garden gate that allows some visibility, we work with elegant and textured woods such as larch, cedar and oak to create a gate made exactly to the measurements you require. All our gates are made here in settle, North Yorkshire, in our joinery workshop. Our skilled craftsmen create each gate bespoke in either hardwood or softwood, with a planed finish to allow the character and grain of the wood to show through or with a painted finish the colour of your choice. Our gates can be created in a size to your specification, from garden gates to field gates. Choose to leave your gate untreated for painting, or we can add several coats of our wood preserver to ensure they get off to a good start in their new outdoor position. Speak to one of our specialists to discuss finish options. 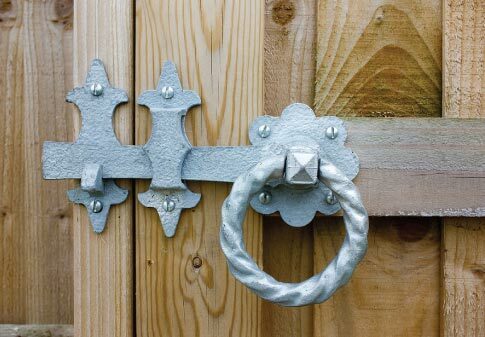 Ironmongery that is either galvanized or black powder coated provides the perfect finishing touches to any gate and we can show you our collection and suggestions for your choice of gate. 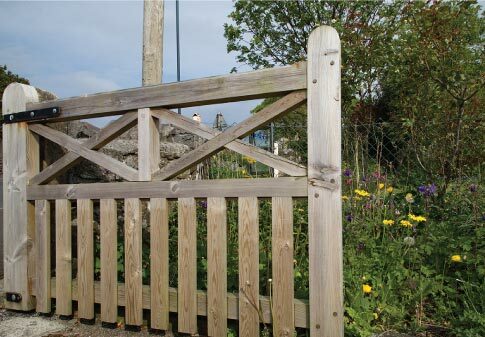 Our hardwood and softwood posts provide a complementary frame to your bespoke gate. They feature a premium finish, treated with wood preserver, either stained or with a clear finish. Hand-sanded edges are smooth and the posts have a planed-off finish throughout. This allows the natural grain of the wood to shine through. 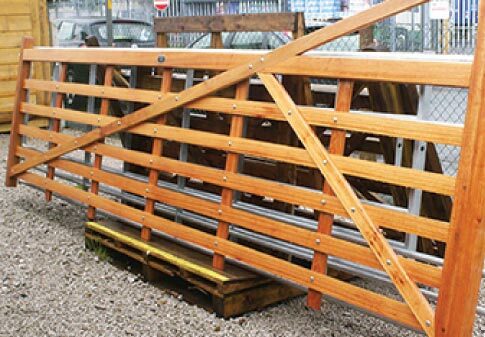 We focus on high quality timber, and a service to match and will deliver and fit your new gates as part of the service. We recommend that the gates are treated as soon as possible after arrival, to prolong their life and appearance, and we can discuss with you any support you need with this.